While many people look upon silver investments and a cheaper form of gold, there are important differences that should be taken into consideration when deciding on whether or not to put money in silver and on which investments to choose. What makes silver and silver investments special? The biggest difference between silver and its more expensive cousin gold is its industrial uses. Silver has several properties that give it many practical uses that have only grown in recent years. This means silver is included in products to include switches, circuit breakers, motors, water purification, surgical gowns, electronics and wood preservatives, and the list is growing. In addition to silver being used industrially much more than gold, there is the fact that this silver is generally not recycled. It is estimated that 95% of the gold ever mined has been recycled numerous times and is still in use. However, the nature of the products and the small quantities silver is used in means that it is usually not economical to recycle. This creates a demand for a steady supply of new silver from mines. when investing. Silver prices are more volatile than gold over time (since much of the price is based on industrial uses rather than simply a store of value). Although the general trend if for demand and prices to increase, recession can reduce consumption and new mines boost supplies. Furthermore, increases in prices often lead to a drop in demand. 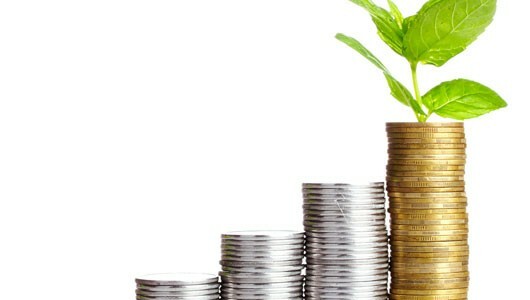 Finally, as with many forms of precious metal investing, there can be storage and other costs. There is never any certainty as to which way prices will go, and many investors are better off putting their money into productive investments rather than into price speculation with precious metals. Silver investing falls under two broad categories: physical and non-physical investments. These are ways to invest in silver without the potential hassles and expenses that come with actually taking possession of the metal. With silver something that is always being consumed, stocks in silver mining companies will be directly affected by the silver market. However, various factors, to include reserves, profitability and influences other than the price of silver will affect the price of these stocks. Keep in mind that silver is often produced as a part of mining processes that are not exclusively focused on silver, and companies that mine silver will therefore be involved in other types of mining as well. A list of companies that mine silver can be found here. ETFs can be bought and sold like stocks (see what is an ETF) Common ways ETFs become invested in silver include interests in companies that directly hold it or through futures. 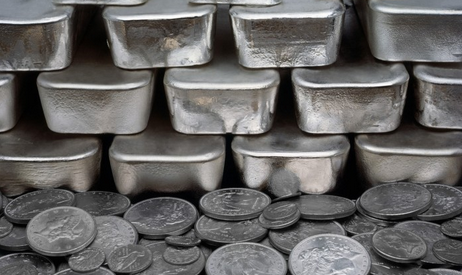 ETFs can be found that will directly reflect the price of silver. iShares Silver Trust is a very popular silver ETF. Mutual funds are pools of investor money as explained in mutual fund basics. Like ETFs, they offer a way to invest in silver without taking possession of it. Generally, these funds are exposed to silver by investing in silver mining companies. For those willing to take the most risk, futures options can be found on all the major worldwide exchanges. There are a number of options for those who would like to own physical silver as a hedge against inflation or for other reasons. The drawbacks of will include storage, security and transportation costs. Compact, in various uniform sizes, and .999% pure, bars are a good way to own silver. They are easy to store but generally do not have any collectable value, apart from selected ones with highly recognizable images. The most valuable and liquid silver is in the form of silver coins that are marked for their fineness and backed by a government or private mint with a good reputation. The standard for these coins is the U.S. Silver Eagle. Coins will sell over the spot price of silver. Know the average premium range above the spot price of sliver for the coin being acquired before making any purchases. Silver coins are a very easy and popular way to own silver. These are basically a form of silver coins. Since they are produced by private mints that have lower production costs than governments, they have lower premiums than silver coins. They also should be .999% silver. They come in a variety of sizes and have no legal tender status. US dimes, quarters and half dollars minted in 1964 and prior were 90% silver and 10% copper. These coins are put into bags of canvas-type cloth and sold. Apart from being a legal US tender, these coins are recognized internationally as a trading medium (making them very liquid) and carry a low premium over the price of spot silver. Have you thought of ETFs vs. mutual funds?